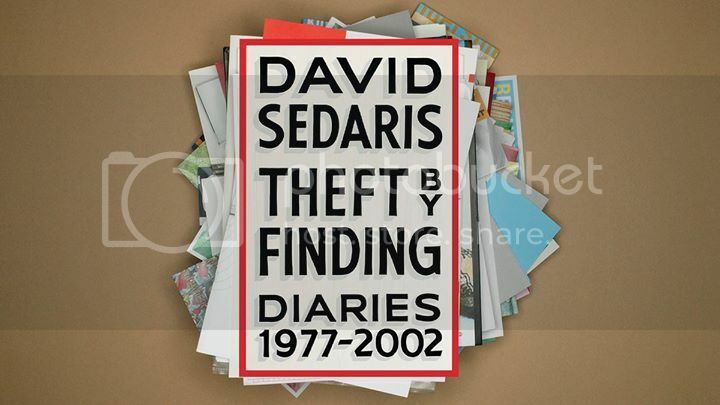 SALA Book Club - "Theft by Finding"
This month we're reading the new David Sedaris Theft by Finding: Diaries 1977-2002. Sedaris shares his private writings with the world. Theft by Finding is the story of how a drug-abusing dropout with a weakness for the International House of Pancakes and a chronic inability to hold down a real job became one of the funniest people on the planet. We have no theme or topic for what we read. Attendees each nominate a book for next month, and the final selection is made by a poll on our SALA Facebook group. We will meet to discuss a new book on the 1st Sunday of each month. The person who nominated the winning book hosts at their home or a public location (coffee shop etc.) of their choosing. This month Jeff will be hosting at his place in East Hollywood. The address will be sent to those who RSVP.